Hello! Did you fall off your chair? 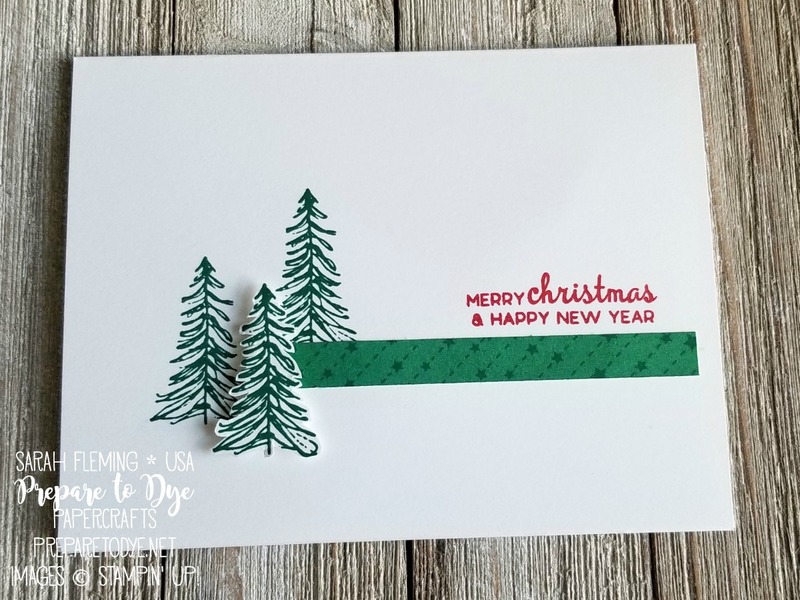 I very rarely make clean and simple cards, but after I made a many-layered card this morning, I still had a little time to make something quick, so I checked in at Freshly Made Sketches to see today’s sketch. And I loved it, so I tried really hard and made a CAS card. My card base is Thick Whisper White. 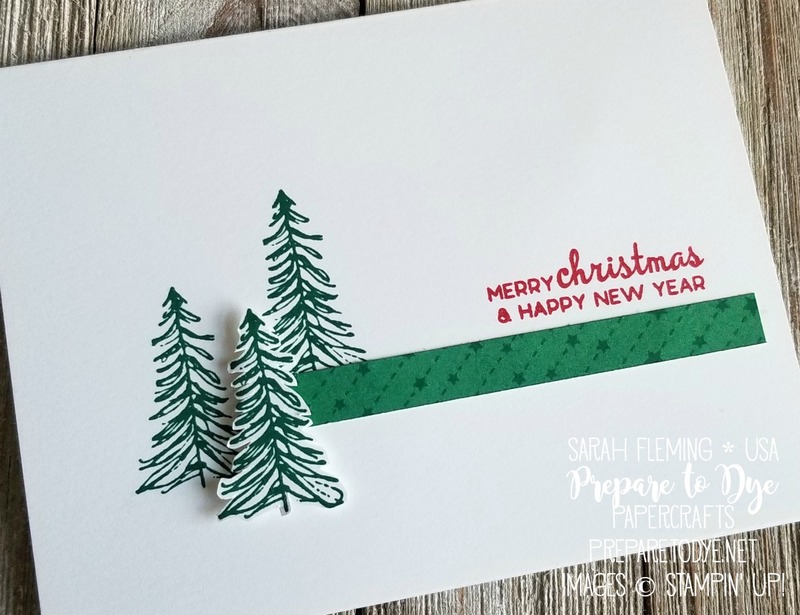 I stamped two Shaded Spruce trees from the new Timeless Tidings stamp set on the card, then added a strip of All Is Bright paper. I stamped the sentiment, which is from Beautiful Baubles, in Real Red. Then I stamped one more tree on a scrap of Whisper White and added it to the card with Mini Dimensionals. Fun, right? I must remember to make CAS cards more often. 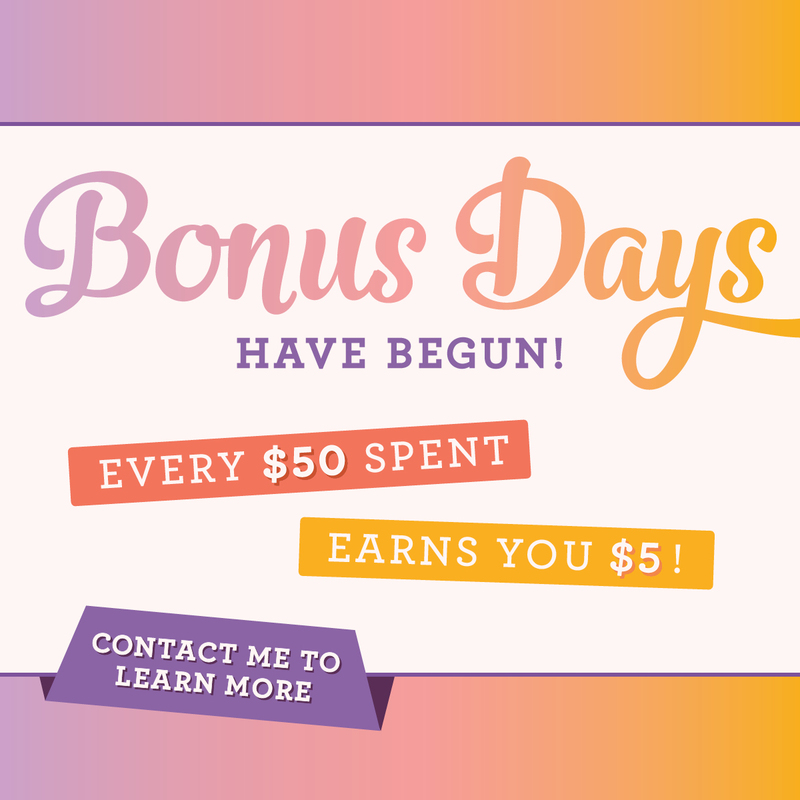 Only 9 days left to earn those Bonus Days coupons! For every $50 you spend on an order in August, you earn a $5 coupon to use in September! There’s no limit to the number of coupons you can earn, and you can order as many times as you want. Shop my store in August to earn your coupons! Everything I used on my card can be found in my online Stampin’ Up! store starting September 5th. 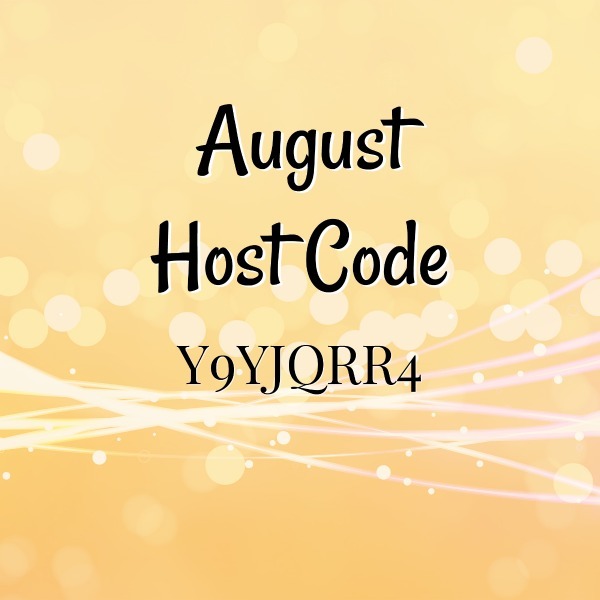 Make sure to use the August Host Code (below) if your order is below $150, and I’ll send you extra goodies! If your order is over $150, don’t use the Host Code — make sure to claim your Stampin’ Rewards when you check out, and you’ll still get my free gift! If you can’t wait until September 5th to get these amazing products, click the join button below to join my team! You’re never required or pressured to sell or buy anything more. You get to select $125 in products in your Starter Kit, including anything in the Holiday Catalog! So if you have a long shopping list, this is a great option for you. Love this sweet CAS card! The trees are perfect! This is CAS perfection! It’s a treat to see that you joined us at Freshly Made Sketches this week, Sarah! What a great CAS Christmas card! Love those sweet little trees! Thanks for joining us this week at Freshly Made Sketches!